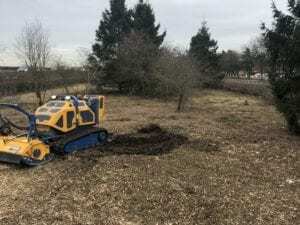 We offer a wide range of Vegetation Management services to our clients working for developers on site clearance projects as well as for customers such as Natural England on sites of a sensitive nature. 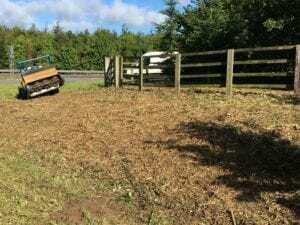 We have worked extensively on stud farms carrying out Vegetation Clearance to provide safe equine environments. S.P. Landscapes & Tree Contractors has a wide range of both equipment and expertise to deal with the most challenging of sites. 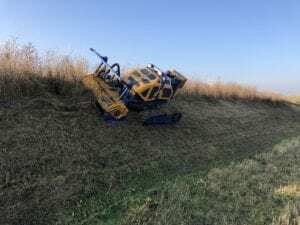 We have equipment capable of working on steep inclines safely and efficiently with a broad spectrum of cutting and collection attachments including flails, forestry mulchers, band rakes and mechanical felling equipment. 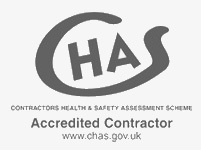 We are experienced at working adjacent to and in watercourses carrying out extensive watercourse/ ditch maintenance within the Cambridgeshire area, working with our clients to ensure their watercourses run effectively and helping them react to the increasingly difficult weather conditions, safeguarding local communities. 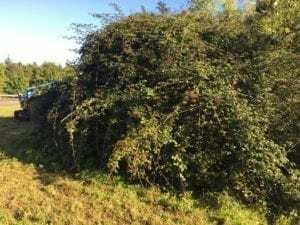 Our staff are competent and experienced in treating and removing invasive species including Japanese Knotweed, Giant Hogweed, Ragwort and Rhododendron. 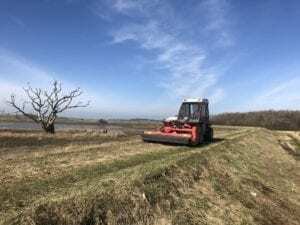 Specialist bank mower, capable of working on angles up to 45 degrees, with flail grass cutting deck and rake for grass collection. 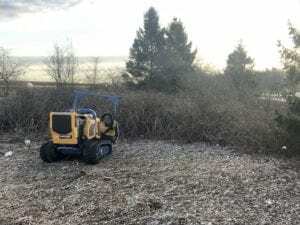 Remote controlled bank mower, capable of working on angle up to 55 degrees, with flail grass cutting deck and forestry mulching deck for Brambles and Scrub.